UPDATE: Click here for an update to this story. 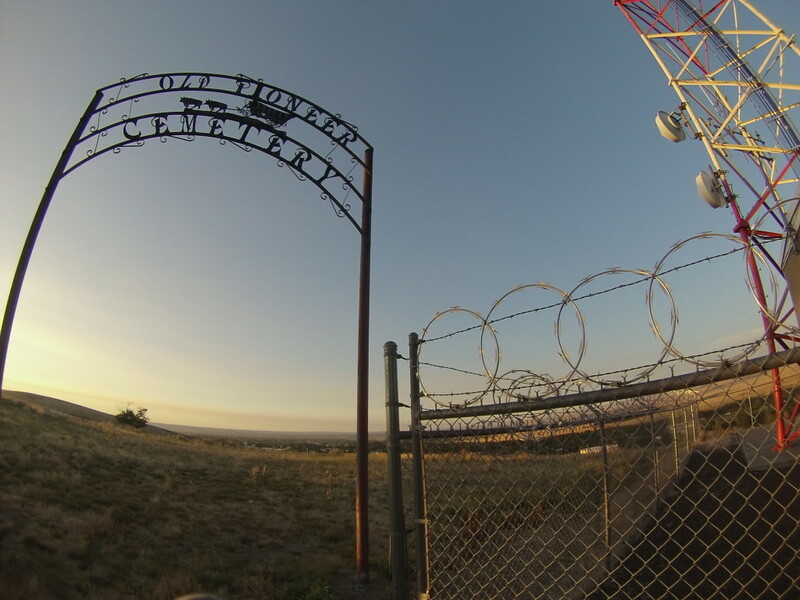 So I just got a new GoPro camera that does time lapse photography. 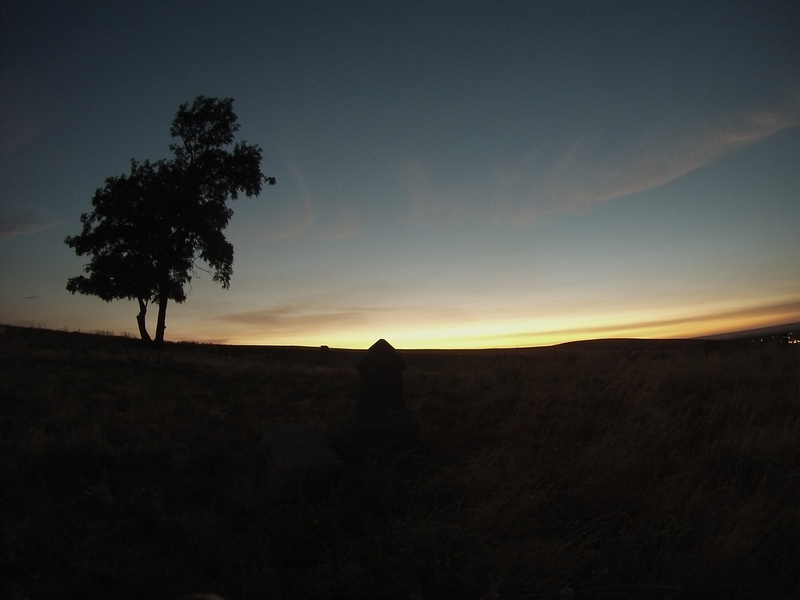 I’ve been taking time lapse picture series of sunsets and wanted to try one at the old cemetery at the top of the hill. I attached the camera to a tripod and set it to take pictures once every 30 seconds. The first picture was taken at 8:13 p.m. I left it up there and came back a little before 10:00 p.m. to pick up the camera. I loaded the pictures onto my computer when I got home, but didn’t notice anything unusual until this morning. If you look to the right of the tree in this next picture, you will notice what appears to be a figure next to the tree. 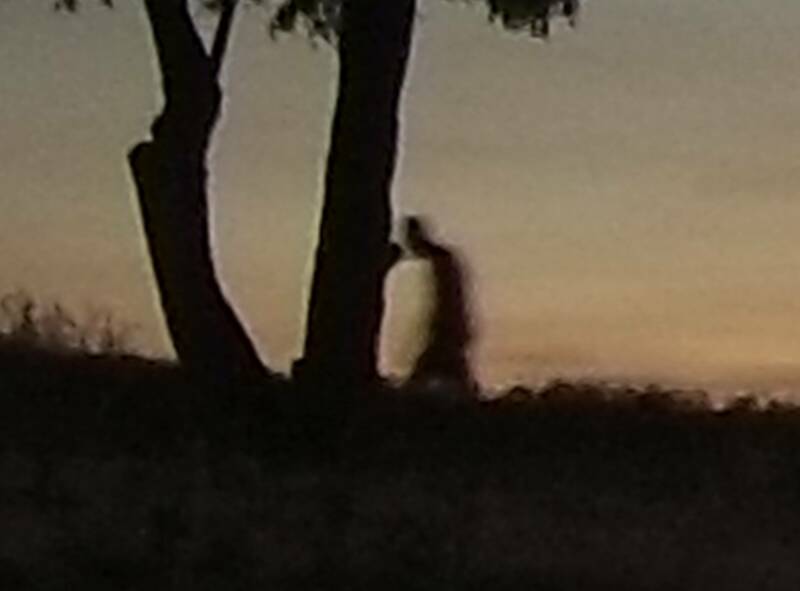 This is the same picture, blown up to show a closer shot of the figure. These next three pictures are: the picture 30 seconds before the shape appeared, the picture with the figure, and the picture 30 seconds after the shape appeared. I still haven’t figured this one out. Here is a video of what I explained above. 3 Responses to "Freaky Find in the Cemetery Last Night"
I’m sorry but this is nothing more than a bug/debris landing on your lens. Before you discount this observation due to its unpopular answer, please view via Google images of various bugs landing on the camera lens. They are usually not shaped like the bug and nearly always blurry. Also, note your brother-in-laws silhouette is sharp, while the anomaly silhouette is out of focus. Again, consistent with anomalies landing on a lens.